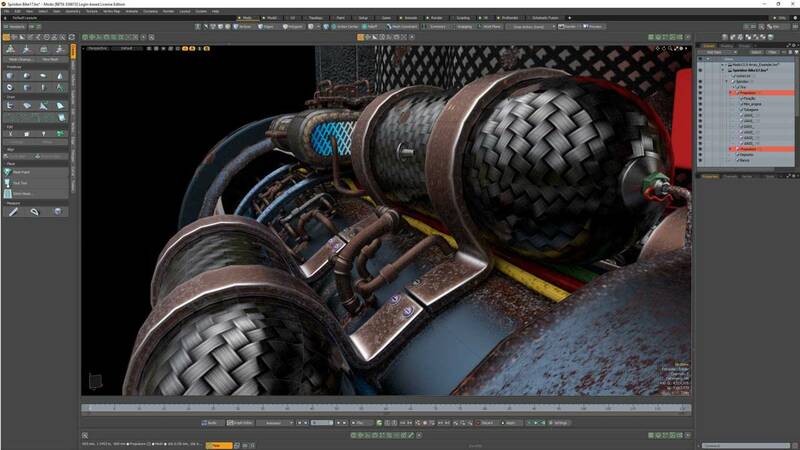 Modo 13 Series strengthens Modo’s robust animation, modeling and rendering capabilities with native GPU rendering from AMD’s Radeon Pro Render™, Arrays of complex rigging and procedural modeling and the much-anticipated, non-destruction editing of Animation Layers. AMD’s GPU accelerated path-tracer, the Radeon Pro Render™, is now part of Modo’s collection of powerful rendering options and the beginning of increased rendering flexibility and improved APIs in Modo. Modo 13.0 introduces KitFusing™, allowing artists the ability to define only a portion of a mesh to be used for creating boolean operations alongside Relax Edge and Find Shortest Path Selection to accelerate creation workflows. 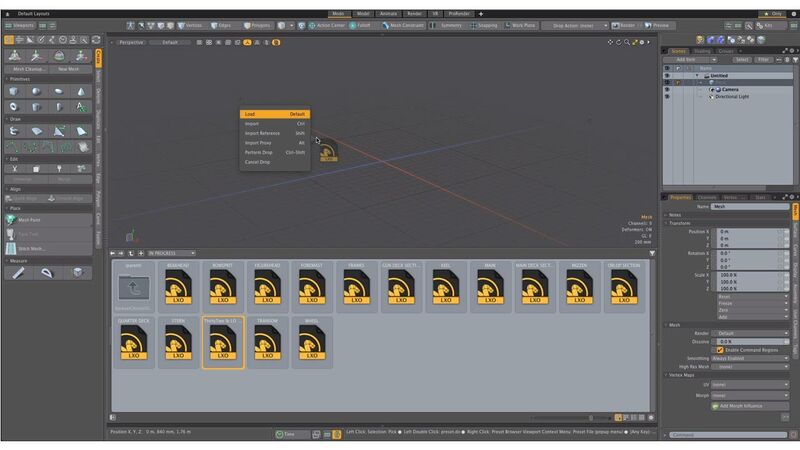 Modo 13 adds non-destructive editing of specific actions through the new Animation Layers feature, where each layer can be controlled to override or apply additively in a top-down format. In Modo 13, we’ve added the ability for an artist to drag and drop entire scenes from the preset browser, loaded as a reference or as a proxy item, allowing increased flexibility when reusing assets. 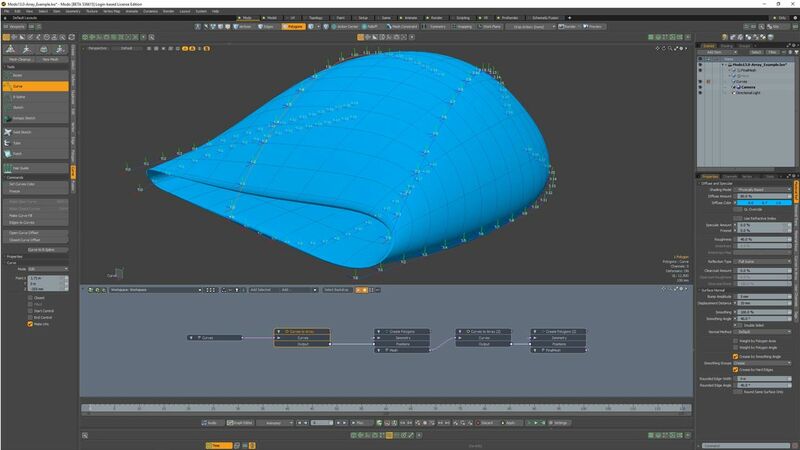 Arrays are a new addition to Modo’s rigging system that allows for advanced storage, manipulation, and output of data in a variety of forms, further enabling what artists can engineer in Modo. Modo Bridge for Unity adds the same functionality that was present in the Unreal Bridge, now through a shared interface to streamline interaction with real-time scene creation. 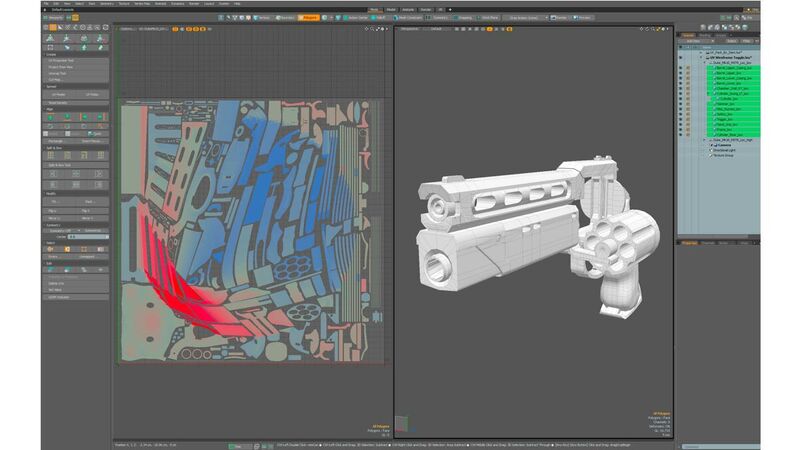 The UV toolset in Modo 13.0 has been further simplified to dramatically reduce the time required to generate clean UV maps with enhancements to UV Split, Wireframe Display, Packing, and the Edge and Vertex Slide. Modo comes as individual or floating licenses, and with the Modo Maintenance and Modo Subscription options licenses can be tailored for any team, project or assignment. These are traditional perpetual Modo licenses that are tied to a single user. This license is great for a single user who may need to run Modo on more than one machine but at different times. One year Maintenance is included with new perpetual licenses. With Multi-seat licenses you can roam a license. Roaming allows a user with a floating license to temporarily take one of the available licenses off-site. While that license is off-site, the count of available licenses on the license server is reduced by one, so no extra usage of the product is possible. Note: These floating licenses are different from RLM floating licenses for other Foundry products and are not managed from a central license server. Please contact our Sales team if you are interested in RLM floating licenses for Modo. With Modo Maintenance attached to your individual or floating Modo license you will get every update and new release while your Maintenance remains valid, as soon as it is available. If you stop paying for Maintenance you keep your working license on its last update. To stay current with the latest technology you should renew Modo Maintenance. You can enjoy the flexibility of login-based licensing* to work where you want – no more tedious license transfers. 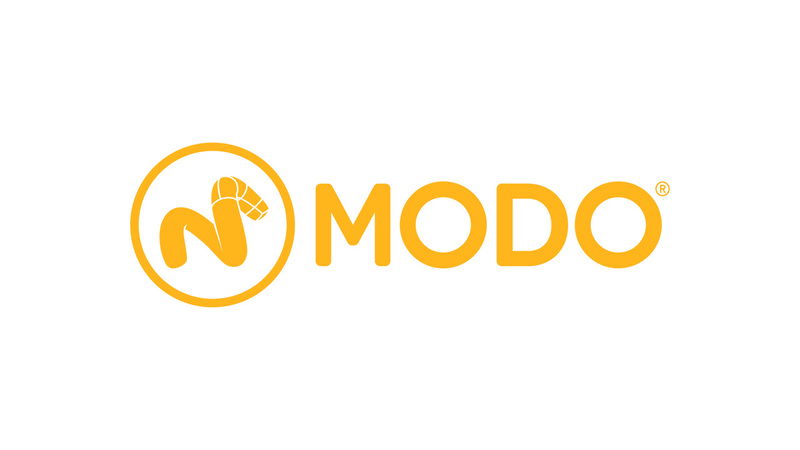 With Modo Subscription you get the latest technology for a monthly or annual time period. You will get every update and new release while your Subscription remains valid, as soon as it is available. You can enjoy the flexibility of login-based licensing to work where you want – forget tedious license transfers. Plan your Subscription budget with a set of flexible payment options. When the period you paid for is up the Modo Subscription license will no longer work. Maintenance license option not included. * Login-based licensing and Subscription requires that you connect to the Internet at least once every 30 days. See updated Modo system requirements here. Try Modo 13 today, download a 30 trial version here. Creative Tools is your authorized Foundry reseller. For questions regarding Modo please contact us. V-Ray for Modo is a highly accurate renderer, enabling Modo artists to predict and present their des..
Cyborg3D CAD2Poly brings the amazing tessellation engine found in our 3DS Max, Maya and Modo product..
Foundry Collective – streamlined content creation packages, designed to give artists and designers e..
With the artist-friendly 3D paint tools you need to make the most of your creativity, together with ..
Ocula® is a unique collection of 16 workflow plug-in tools for Nuke designed to tackle common proble..
Foundry's Hiero® products are purpose built multi-shot management tools that support smooth collabor.. 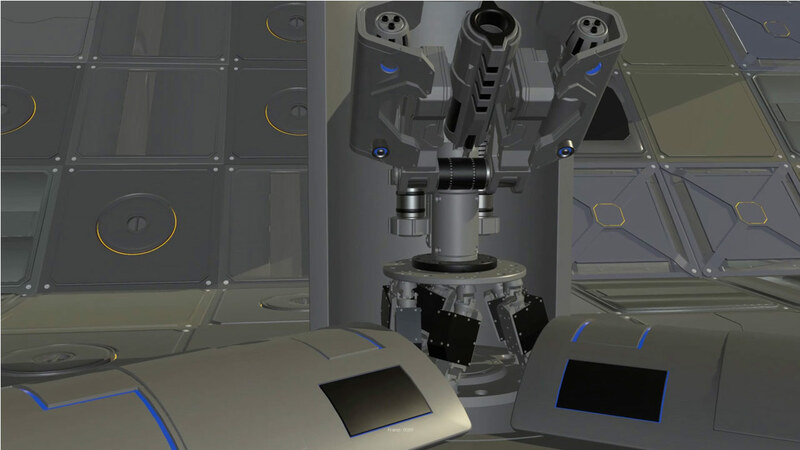 Furnace is a sophisticated suite of 2D image processing plug-ins designed to enhance workflow a..
Modo® kits are packaged productivity that accelerate certain task-specific workflows within Mod..